Metallics are incredible. They are able to look bright AND dark at the same time, and different in different lighting conditions. Here are 3 of the ones I find the most incredibly beautiful. 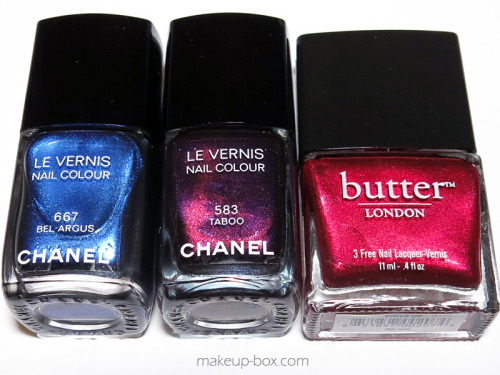 Chanel 583 Taboo - Black, and purple, and red, with hints of copper AND flecks of gold. This polish looks like the night sky. Butter London Knees Up - Best metallic red in the universe. Well, MY universe anyway. This is so rich it shifts from bright ruby to blood red. Cremes, on the other hand, are solid colors that make a strong statement. 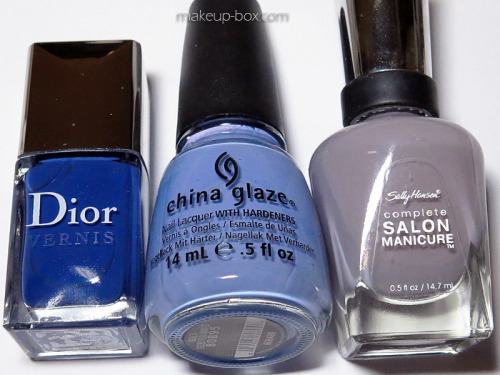 I particularly like these 3 blues and greys that still echo a bit of Summer’s bright blues, but with a touch of Fall’s cooler, more somber skies. 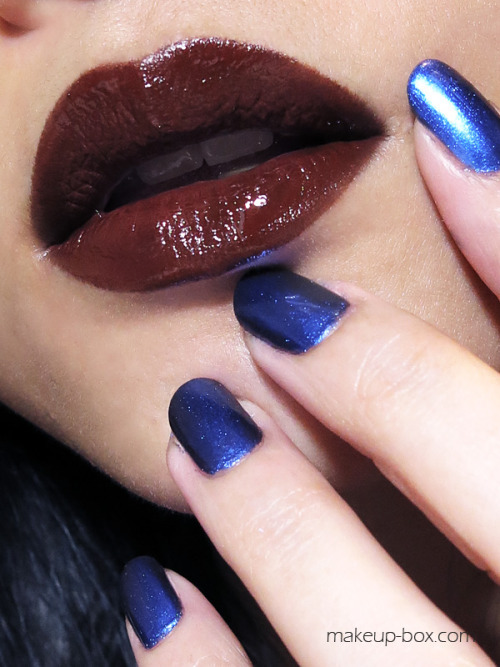 Dior 607 Blue Denim - Looks like a primary blue but actually goes on with deeper, more grey, and not bright. China Glaze 683 Secret Peri-wink-le - Periwinkle is usually a word associated with Spring, but this shade has just that hint of chilly grey to it, like the sky when Summer is transitioning to Fall. MAC Retro Matte Lipstick Swatches!